We are one of the leading manufacturers, suppliers, and exporters of high-quality PTFE Plates that are commonly used in designing circuit boards, pumps, and valves. These products are highly appreciated as they can withstand high temperatures. These products are manufactured using optimum quality raw materials that are sourced from reliable vendors. These vendors are associated with us over a long period of time. 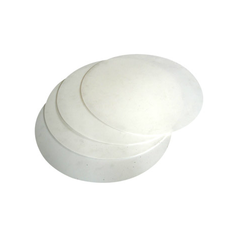 Looking for PTFE Plates ?